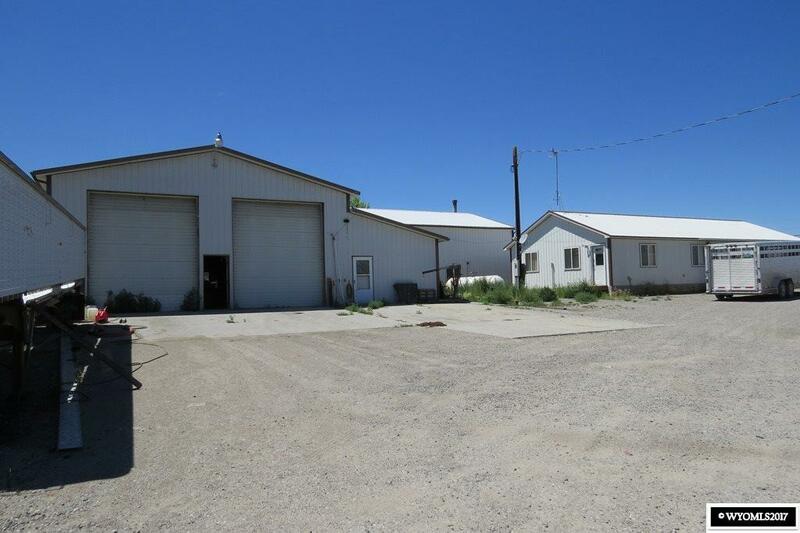 Great industrial facility 3 miles north of Riverton without zoning or covenant restrictions. 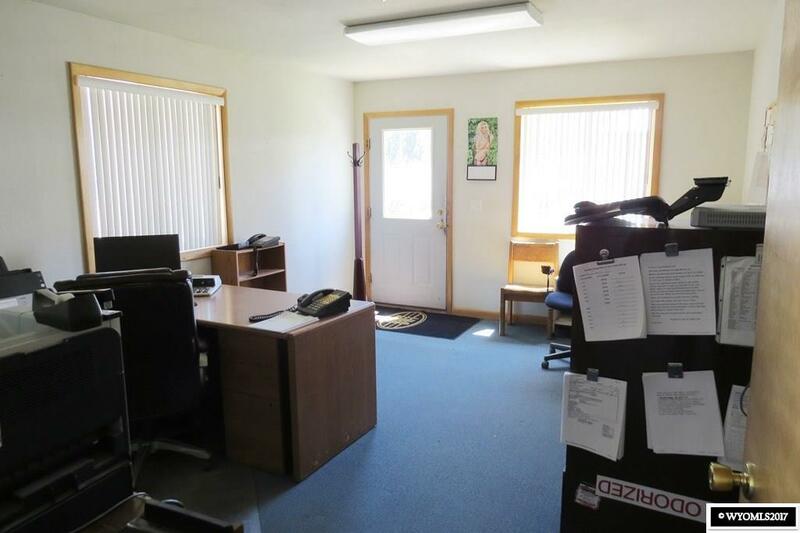 over 7,700 square feet of heated work space between 2 buildings. 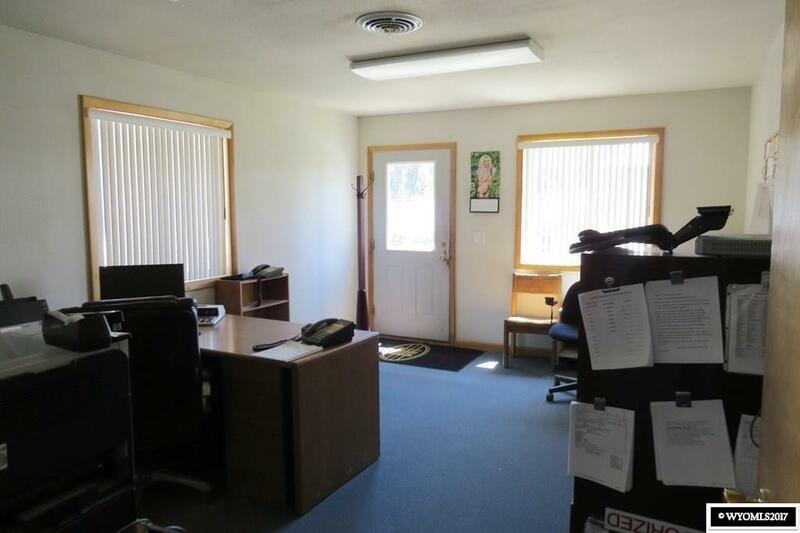 5 offices, 2 restrooms, breakroom, heated warehouse space and over 4,200 s.f. 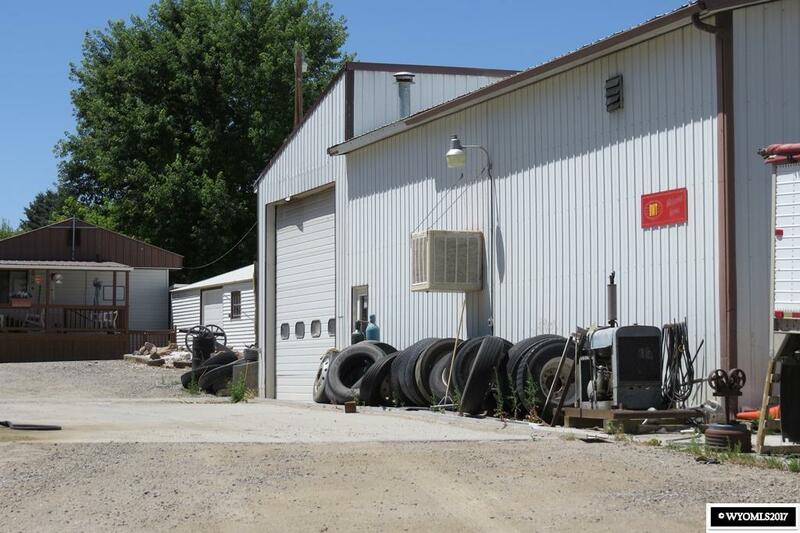 of heated utility space for possible repair, maintenance, or fabrication. 2 10W X 14H and 2 12W X 14H overhead doors. The executive office building contains 4 of the 5 large offices, restroom, utility room, and spacious reception area.